One of the best and worst aspects of SXSW is the ability to wander from showcase to showcase. Sometimes, on nights when you’re presented with an embarrassment of riches, you end up seeing a fraction of multiple great performances rather than sticking it out for a whole concert. So it went last Thursday night. After taking in a phenomenal Car Seat Headrest set at the standing-room amphitheater Stubb’s, Ryan Leas and I walked down the street to meet up with some Stereogum co-workers at another indoor-outdoor venue, Mohawk, for Strand Of Oaks and Japanese Breakfast. Michelle Zauner’s live show was great, but not so different from what I saw her do at another festival last summer. It was late, and I was tired from a day spent rushing around to assignments. So I left Mohawk and wandered back down the road, vaguely in the direction of my hotel. That’s when I heard Lizzo’s voice emanating from the same venue I’d been inside just two hours earlier. Somehow I had forgotten she was closing out the night at Stubb’s, but thankfully I was able to slide inside and enjoy her last few songs. Not that you need me to tell you if you’ve heard the first two singles from her upcoming album Cuz I Love You or seen her performing on TV lately, but the woman is a full-fledged star. A charismatic presence capable of nailing glory notes, hitting her steps, and unfurling nasty flute solos, she’s both unique and uniquely accessible. If radio stations ever figure out “Juice” belongs in heavy rotation, watch out. Actually, watch out either way. Lizzo cannot be contained. 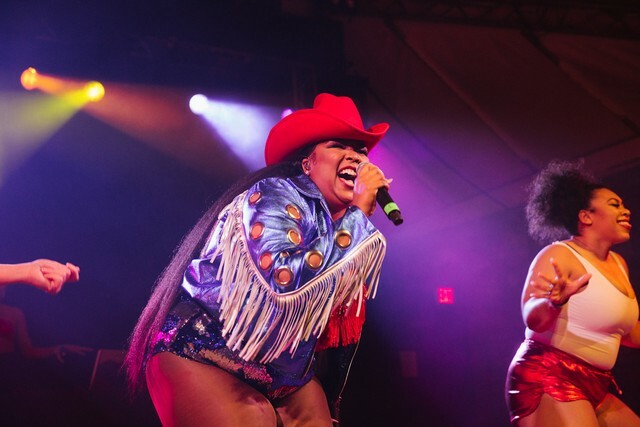 Today she’s back with “Tempo,” the album’s third advance single following “Juice” and “Cuz I Love You.” It’s a collaboration with Missy Elliott, and as you might surmise, it zeroes in on Lizzo’s hip-hop side, with a beat like what Elliott and her fellow Virginian visionaries might have crafted circa Y2K. 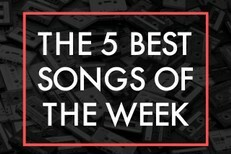 So now we’ve heard the Bruno Mars-style retro party jam, a big-time ballad, and a hell of a rap song. That’s a good representation of Lizzo’s skill set, but I have a feeling the album will cover even more ground.